Due to the changes in this update, you cannot automatically update from within WordPress. You must log into your account and download your Aweber addon from there. Be sure to keep the page open or copy your license key as well. Next, go to the “Plugins” page in your WordPress admin and Deactivate and delete the QMN AWeber plugin. DO NOT DEACTIVATE OR DELETE QUIZ AND SURVEY MASTER! Now that the old version is deleted, click the “Add New” button to upload the updated version and then activate the plugin. For a more in-depth guide to installing addons, check out our How To Install Addons Documentation. Once the settings are saved, you will see a success message. Your addon has been authorized. We just have one last step. 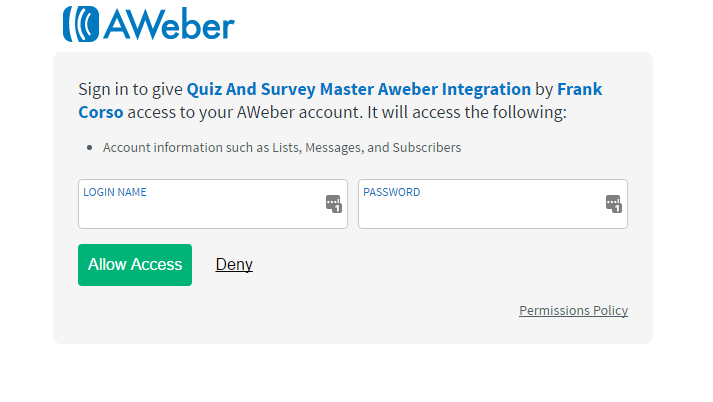 Due to the nature of the change, we have to save extra data from the Aweber API to continue working on each quiz or survey. 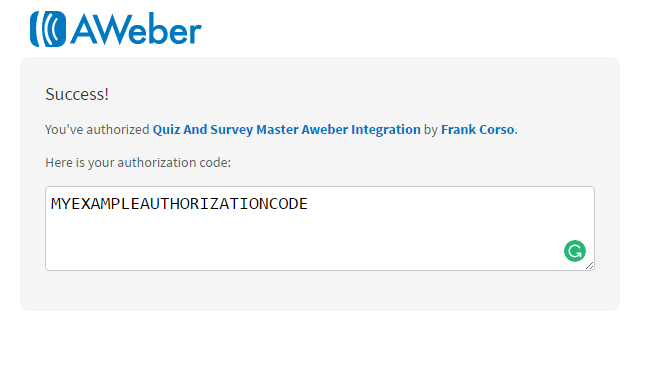 All you have to do is go to the “Aweber Integration” tab on any quiz or survey that uses the Aweber addon. Once the page loads, you will see a success message at the top saying your settings have been imported. On January 16th, Aweber will require all apps to reauthorize. All you have to do is click the “Reset Aweber Authorization” button and then re-sign into Aweber like we did above. Previous Post Do you know why your customers made their purchase?